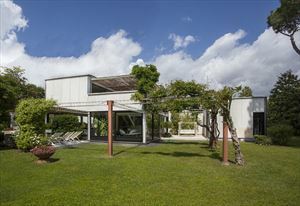 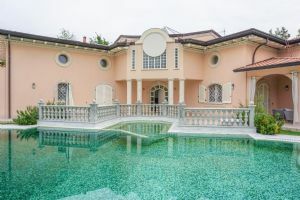 Outside there is a large veranda nestled between the arches and the green of the climbing plants, furnished with dining table and garden furniture. 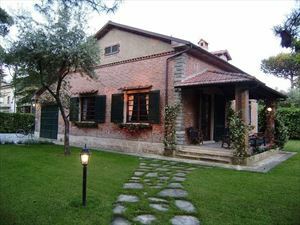 At the entrance there is a living room with dining table and fireplace, kitchen with double access, also from the outside, room with bunk beds, bathroom with shower, double bedroom, twin bedroom, bathroom with shower and the master bedroom with exclusive service with bathtub. 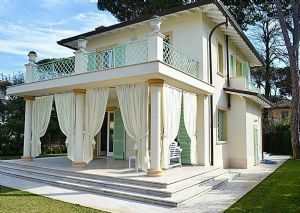 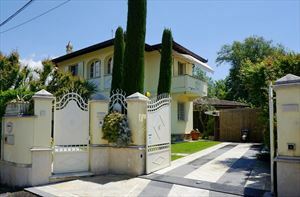 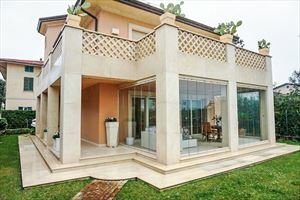 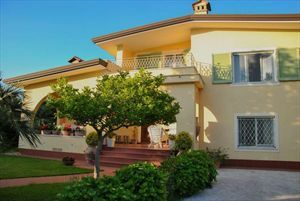 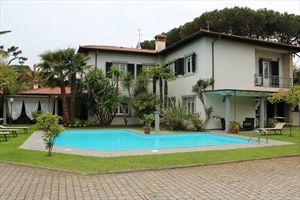 The Villa is also equipped with alarm system, covered car parking and Wi-Fi internet access.